My pizza obsession is getting out of control. I’ve been making my own pizza for a while but lately I’ve taken to eating box after box of frozen pizza. Um, I can’t help it. Don’t judge. It’s easy, inexpensive and it tastes so good with beer on a Friday night. Hey – I don’t have a sophisticated palate. My only saving grace is that I’ve kept myself from picking up the phone and having pizza delivered. So, while I’m fooling myself into thinking that eating frozen pizza is better on my waistline (it is to a degree), I know I’m even better off making my own pizza at home where I can control the ingredients. 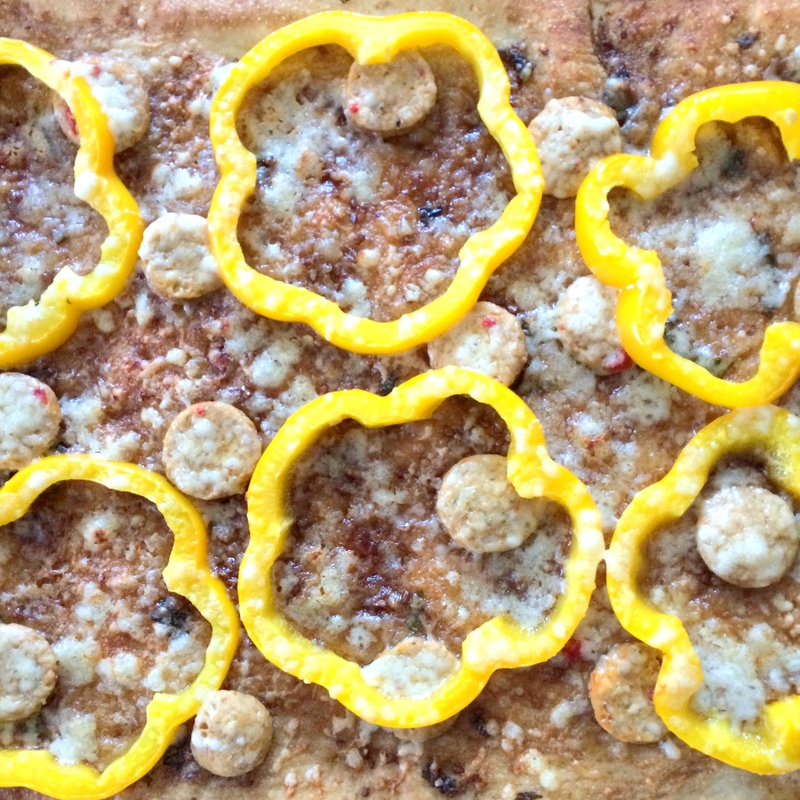 So, here we are with this Sausage, Manchego, and Pepper Pizza I made recently. 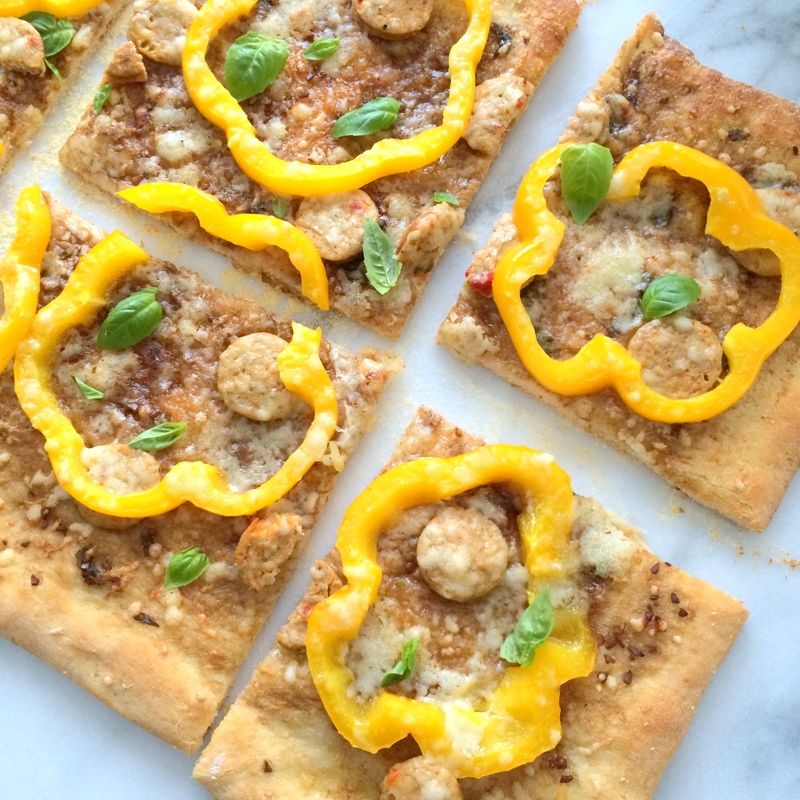 Refrigerated pizza dough is glazed with a tasty topping of olive oil, balsamic vinegar, garlic, and oregano and then topped with chicken sausage, manchego cheese, and fresh yellow bell peppers. A little sprinkling of red pepper flake adds a kick at the end. I was able to portion out this pizza and save some for the next couple days rather than eating the whole thing in one sitting (not that I ever do that – ha!). The balsamic vinegar adds enough flavor to keep this pizza from being bland which sometimes can happen with tomato-less pizzas. 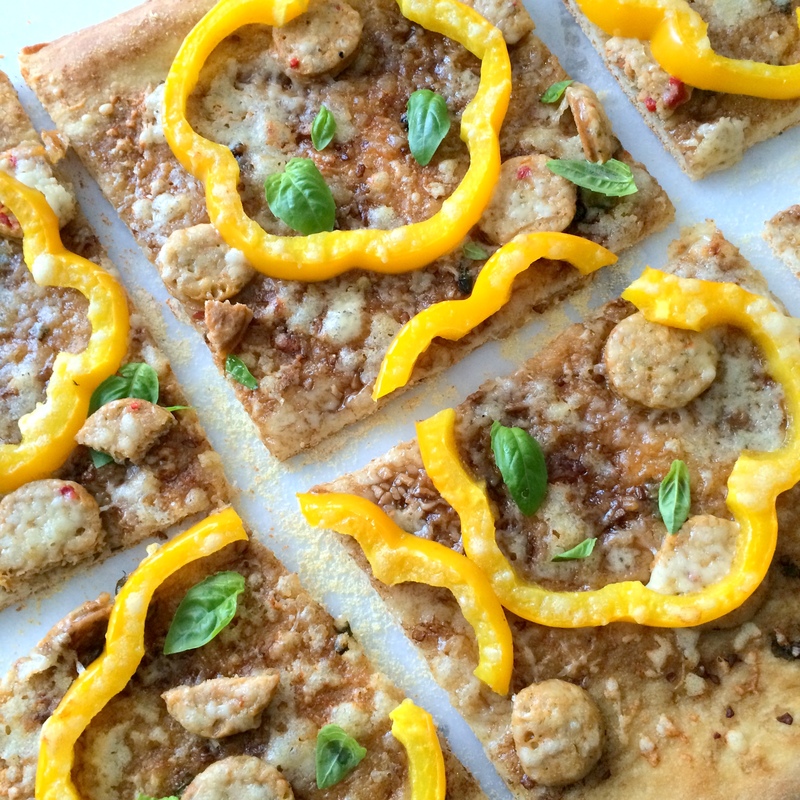 The sausage was hearty and the yellow pepper adds a bright, slightly sweet burst. I loved this pizza but that is no surprise. I think I love all pizza. Even the pizza I don’t eat. I heart it. Place the dough in a microwave-safe bowl. Cover with plastic wrap; pierce liberally with a fork. Microwave at HIGH 10 seconds. Discard plastic wrap. 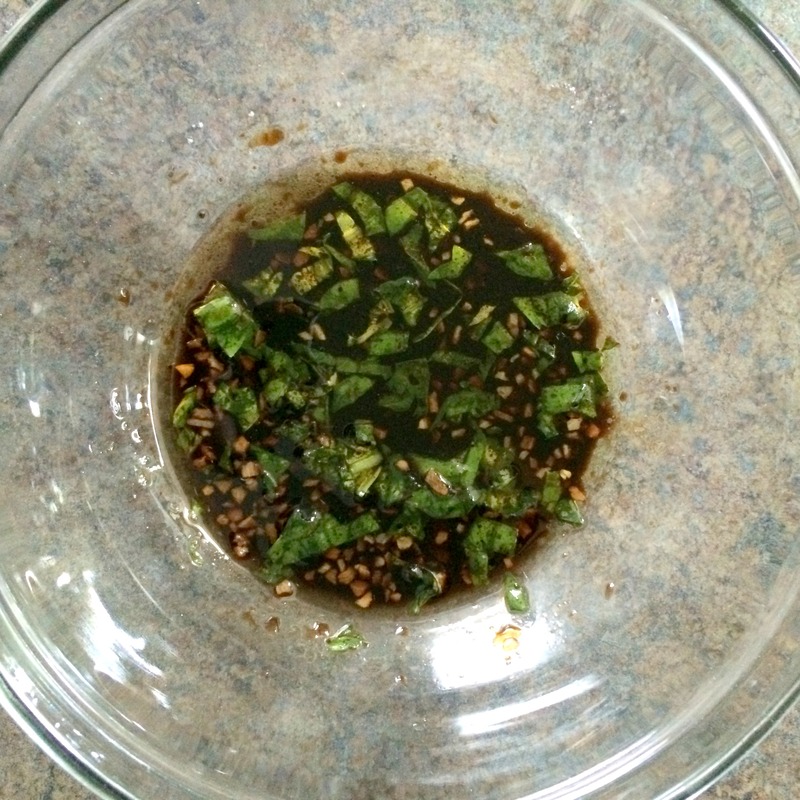 Combine garlic, 2 teaspoons oregano, oil, and vinegar in a small bowl. 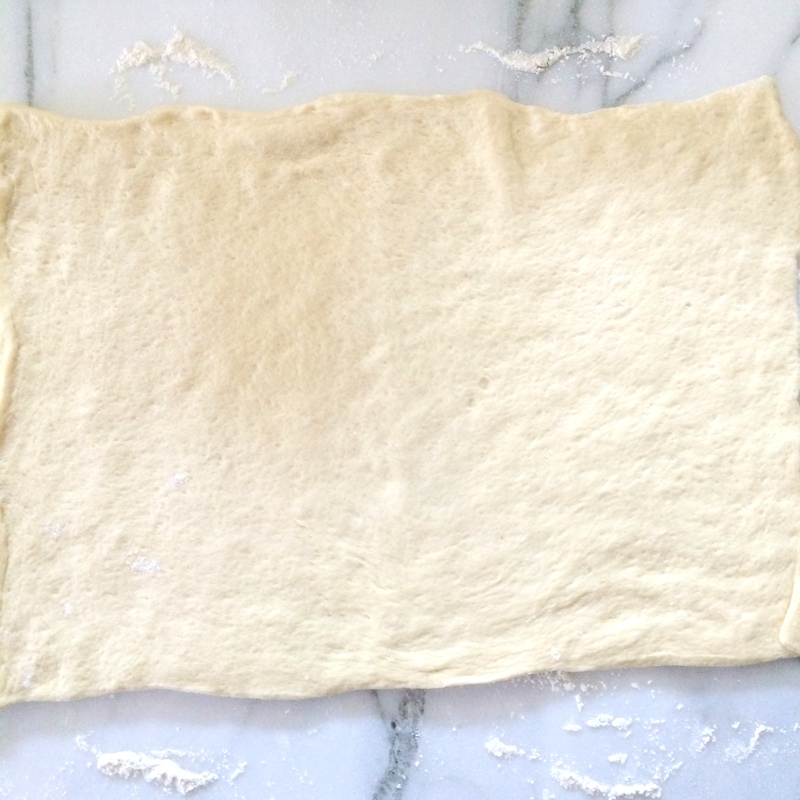 Roll pizza dough on a lightly floured surface. Carefully remove pizza stone or baking sheet from oven. Sprinkle cornmeal over pizza stone; arrange dough on stone. 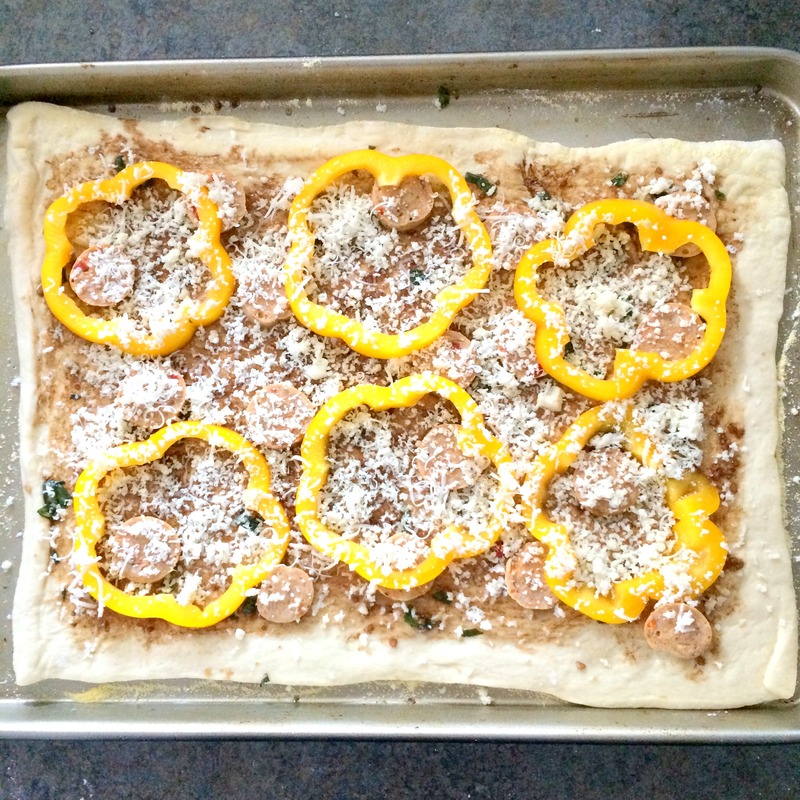 Brush dough evenly with oil mixture; top with sausage, bell pepper, and cheese. Bake at 450°F for 13 minutes or until edges are browned. Sprinkle with remaining 1 teaspoon oregano and crushed red pepper. Though I work for a Pizza restaurant, I have got to say I have never done something like this. Might have to try this out at home. Looks Great!